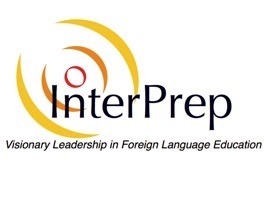 InterPrep’s founder and President, Greg Duncan, has been a foreign language educator for his entire career. Serving first as a high school teacher of Spanish for 12 years, and concurrently for seven of those years as department head of the Georgia public schools’ largest foreign language program, he later held the positions of high school administrator in the Cobb County (GA) Schools and Coordinator for Foreign Languages and International Education in the Georgia Department of Education. Through his leadership at the state level, foreign languages in Georgia public schools enjoyed unprecedented growth in numbers and prestige, and the state’s elementary school foreign language initiative was cited by the Washington, DC-based Center for Applied Linguistics as a model for the nation. In 1993, in an effort to further and more profoundly affect the work in his field, Duncan founded InterPrep, Inc., a company that provides assistance to schools, school systems and other educational entities in matters related to foreign languages and international education. Since its founding, InterPrep has provided consultative assistance to educational programs in 48 states and numerous foreign countries. A highly respected leader, Duncan’s strong academic preparation is augmented by his rich experiences and his well-tuned interpersonal skills, which place him in high demand among educational institutions both in the United States and abroad. He provides professional development opportunities for hundreds of language teachers annually and serves as a principal consultant for numerous school districts and independent schools as they establish and work toward long-term program improvement. Duncan is highly sought as a speaker and workshop presenter at state, regional, national and international language conferences and is often invited to serve as an author for various foreign language publications. He was task force chair and co-author of the ACTFL Performance Guidelines for K-12 Learners and served as lead writer for the jointly-sponsored Asia Society and College Board publication Creating a Chinese Language Program in Your School. He has also authored several publications for the U.S. Department of Education regarding the Foreign Language Assistance Program (FLAP). Duncan has made various contributions to the country’s efforts to provide distance education opportunities to its students. He collaborated with The Carter Presidential Center, and specifically with President Jimmy Carter and First Lady Rosalyn Carter, to provide programming to underscore the importance of an international perspective for high school students. Additionally, Duncan and InterPrep partnered with Georgia Public Broadcasting to develop and disseminate distance learning programming in high school Japanese and elementary school Spanish. Both of these series have been distributed nationally, and both have garnered multiple Emmy Awards for the outstanding quality of their educational programming. Service to the profession has been a hallmark of Duncan’s career. He has held leadership positions at state, regional and national levels, including Program Chair twice for the annual conference of the American Council on the Teaching of Foreign Languages (ACTFL). He has received numerous honors and recognitions for his service, including the ACTFL/National Textbook Company Award for Building Community Interest in Foreign Language Education, the Southern Conference on Language Teaching’s highest honor, The Founders Award, and he is the recipient of the Nelson H. Brooks Award for Outstanding Leadership in the Profession, given by the Northeast Conference on the Teaching of Foreign Languages. Duncan also holds the ACTFL/NYSAFLT Anthony Papalia Award for Excellence in Teacher Education. While serving in the Georgia Department of Education, Duncan’s work to establish a network of international exchange programs for students, teachers and administrators was recognized when he received the Federal Republic of Germany Friendship Award. Duncan pursued his formal education at la Universidad de Salamanca, la Universidad Complutense de Madrid, the University of Georgia, Georgia State University, and Kennesaw State University where he has been honored as Distinguished Alumnus.